The project will provide an opportunity for Wildflower to train its newly-formed UAS flight team. It's a new business for Wildflower, a 27-year-old information technology firm that Kimberly deCastro built into a company with more than 83 employees. "UAS operations are opening a lot more doors for us," deCastro said. "It's an emerging market that we're investing heavily in." Wildflower partnered in 2018 with Silent Falcon, which equips its solar-powered drones with infrared cameras and other sensors for real-time surveillance and imaging. It sells the system to public and private entities worldwide, but it's now moving into service-based contracts to operate its system for customers. 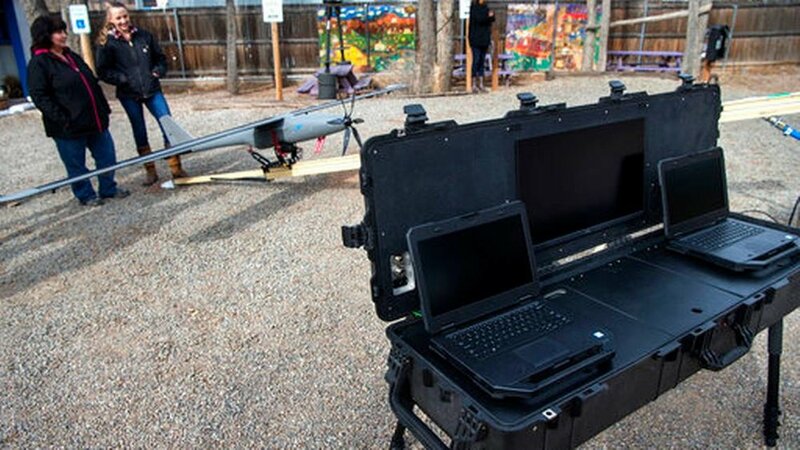 Wildflower already scored its first UAS contract to provide services with Silent Falcon drones to the U.S. Homeland Security Department starting in April. To do that, Wildflower's new six-member flight team needs to train in real-world terrain, which the Pojoaque partnership provides. "We need to be accurate and safe and deliver the right data set to our customers," deCastro said. "We need experience so when we fly for agencies it looks like the Air Force just showed up." "To be successful tomorrow, the members of the pueblo need to gain the skills for the jobs of tomorrow," Talachy said in a statement. "There seems to be no doubt that unmanned aircraft is a technology that has huge growth potential." "Sea" you at AFCEA #West2019?